I will admit it. On my first trip to Crete, I skipped over Rethymnon. Luckily, on my most recent trip to Heraklion, I set aside time to explore Rethymnon, the beautiful seaside town in northern Crete. There’s just so much to do and see here that it deserves a few days on its own. 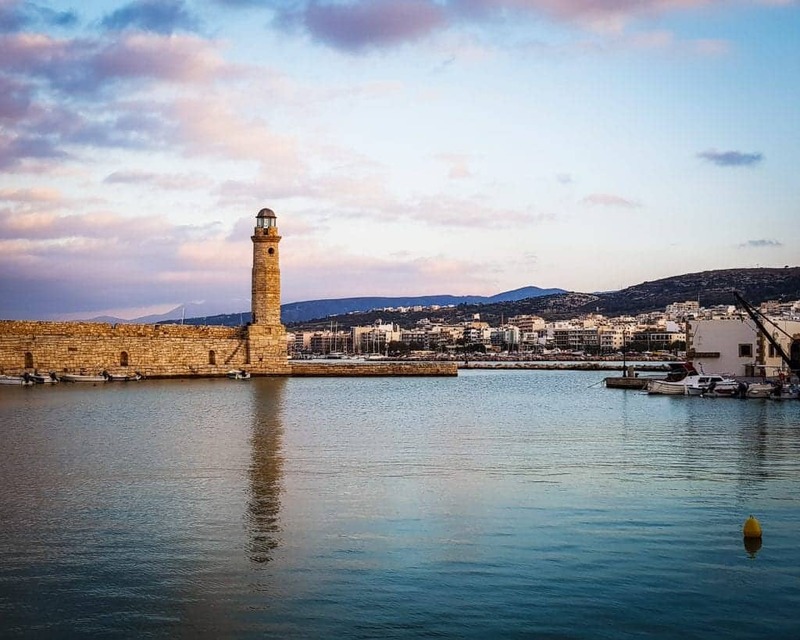 From the lighthouse to the mosques to the stunning panoramic views, Rethymnon is a complete delight. 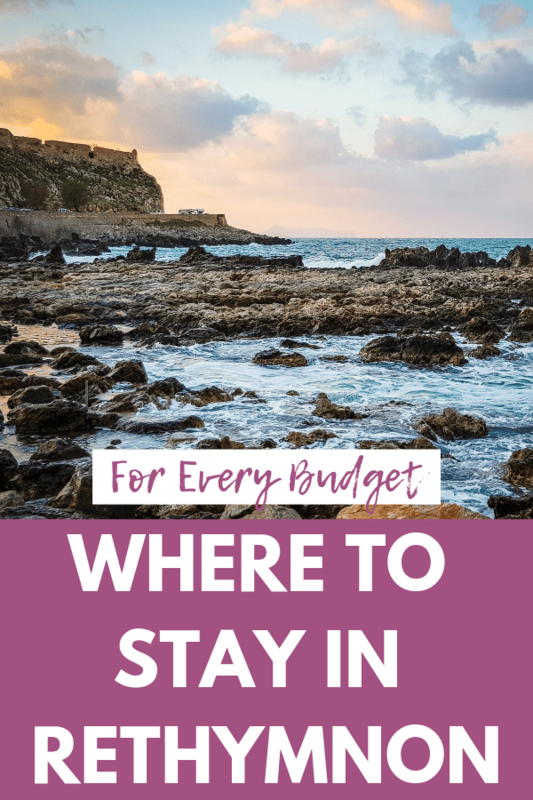 Here are the best Rethymnon hotels and hostels in every budget so you can plan your own Rethymnon adventure. Pro Tip: Rethymnon Hotels & Hostels can sell out months in advance. Don’t wait until the last minute to book your Rethymnon accomodations, especially if you’re looking for a good deal in the high season! 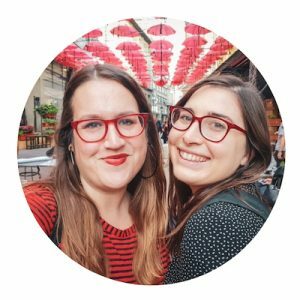 Final Word: Don’t Forget Travel Insurance! Budget: A room in a hostel, usually $15-25 USD per night for a dorm bed or about $50 for a room that sleeps two. A quick note about naming. The town of Rethymnon goes by many different names (Rethimno, Rethymno, Réthymnon, and Rhíthymnos). This is due to the transliteration of the town name from the Greek alphabet. 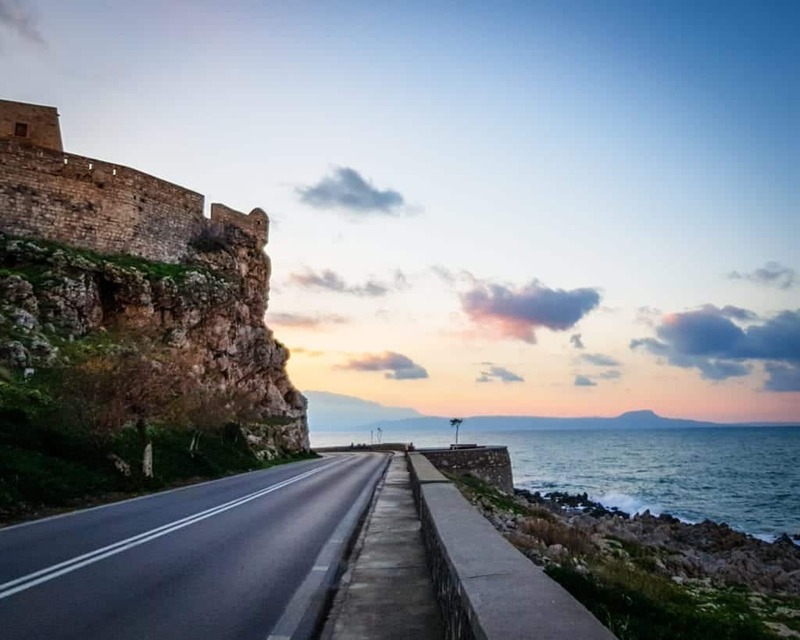 We use Rethymnon in most places in this article for clarity, but you may find companies or other websites use Rethymno, etc. Crete is a surprisingly affordable Greek island to visit, with prices much lower than on nearby Santorini. However, you still might find that getting the best deal on budget accommodations in Rethymnon requires planning. For an adventurous take on budget accommodations, we recommend Camping Elizabeth. Located just three kilometers outside of Rethymnon, this camping ground has caravans, tents, and bungalows to rent! Each includes outdoor furniture and access to a fridge, which means you can keep your costs even more in check. There is an onsite taverna serving local dishes, and a bus stop is just three hundred meters away. A great way to stay close to nature and the beach while enjoying Rethymnon during the day. Check rates and availability here. One of the most popular budget hotels in Rethymnon for its combination of price and location, Faros Beach is located right on the Venetian Harbor. You can head up to their rooftop terrace to enjoy the views (especially appealing during the gorgeous Rethymnon sunsets), and you can utilize the shared kitchen to help keep your trip costs down. Check rates and availability here. The hostel scene in Rethymnon is not as advanced as in Heraklion, but there are still a few to pick from. Just a ten-minute walk from the Rethymnon bus station, you can quickly start your time Rethymnon at this social hostel which prides itself on giving travelers a warm welcome. The rooms are airy and bright, and there is a bar and cafe on site. Check rates and availability here. 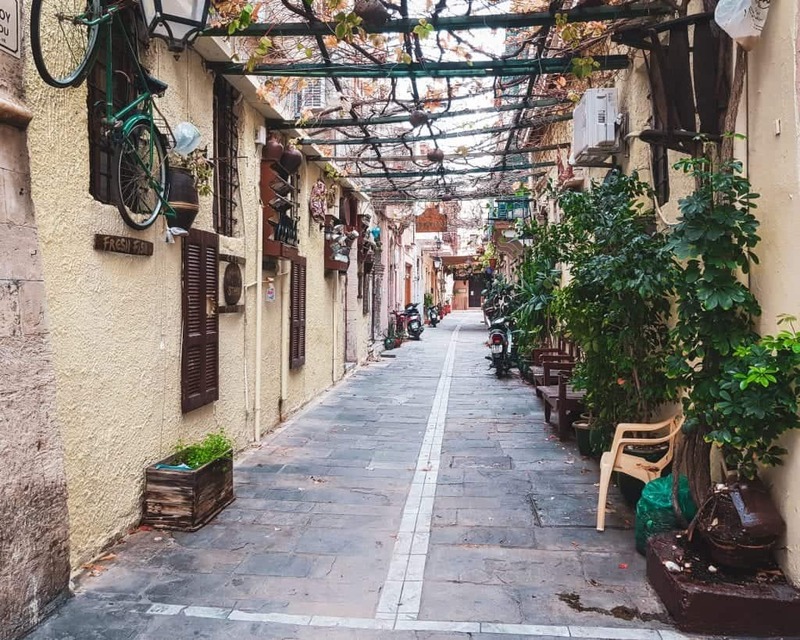 Located in the old city near the archaeological museum, Rethymno Hostel is a great location to base yourself to get out and explore the city. With modern shared spaces and a large balcony, you can get out of your dorm and enjoy the hostel. There is a shared kitchen to help curb your food costs while in Rethymnon. Check rates and availability here. For a seafront hotel that is surprisingly affordable, we recommend Sea Front Old Town. The location is in the middle of the old town and right on the sea, with most rooms having scenic balconies showing off either the seafront or the old town. Since Rethymnon is so beautiful, you really can’t go wrong with either view. It’s a great bargain, too – check rates, reviews, photos, and availability here. 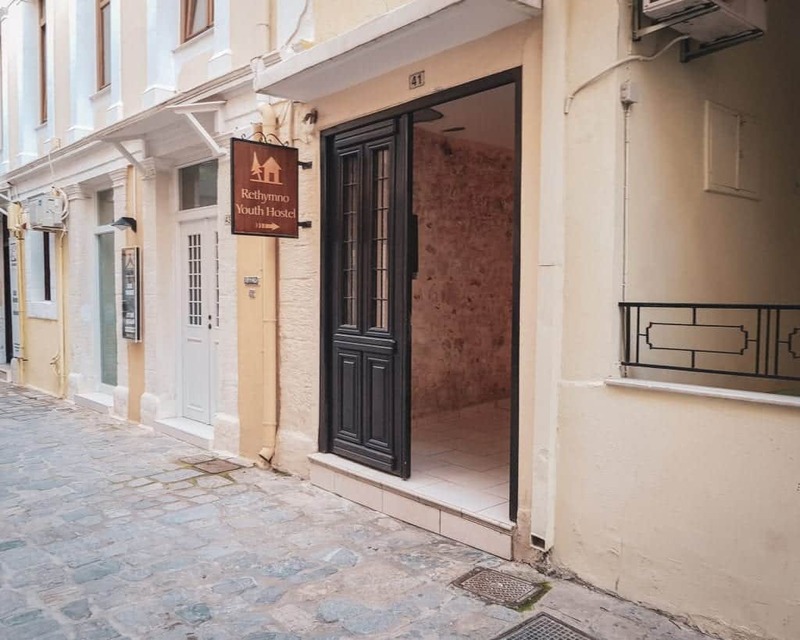 For a bit of Old Town Rethymno charm, we recommend Casa Dei Delfini. This Venetian mansion hotel has stone walls and wooden beam ceilings, so you get a real feel for the history of the city as you relax in style. The furnishings are chic and guests rave about the showers. – check rates, reviews, photos, and availability here. For a true luxury experience in Rethymnon, we recommend the five-star Rimondi Boutique Hotel. The rooms are stunning (think Instagram-worthy), and the location can’t be beaten since the Venetian Harbor is only a four-minute walk away. If you want an extra dose of relaxation, you can use the onsite Turkish bath and massage services. Check rates, reviews, photos, and availability here. If you want the relaxation and peace of being on a beach resort but still be able to enjoy the beautiful town, we recommend the Kyma Suites Beach Hotel. This five-star hotel is located close to Rethymnon’s Old Town, but you get to enjoy the beach views from your room. The furnishings and decor are modern and beautiful, and the pool is picture-perfect. Check rates, reviews, photos, and availability here. If you’re looking to relax with beautiful pool-side views, we recommend the Kriti Beach Hotel. This five-star Rethymnon resort hotel is located right on the beach and is just a five-minute walk to the Venetian harbor. It’s the pool that has us hooked. You can enjoy a swim while appreciating the gorgeous Mediterranean views. Check rates, reviews, photos, and availability here. If this will be your first trip to Greece, check out our Greece Trip Planning Checklist. For information about the city, check out our list of fabulous things to do in Rethymnon. 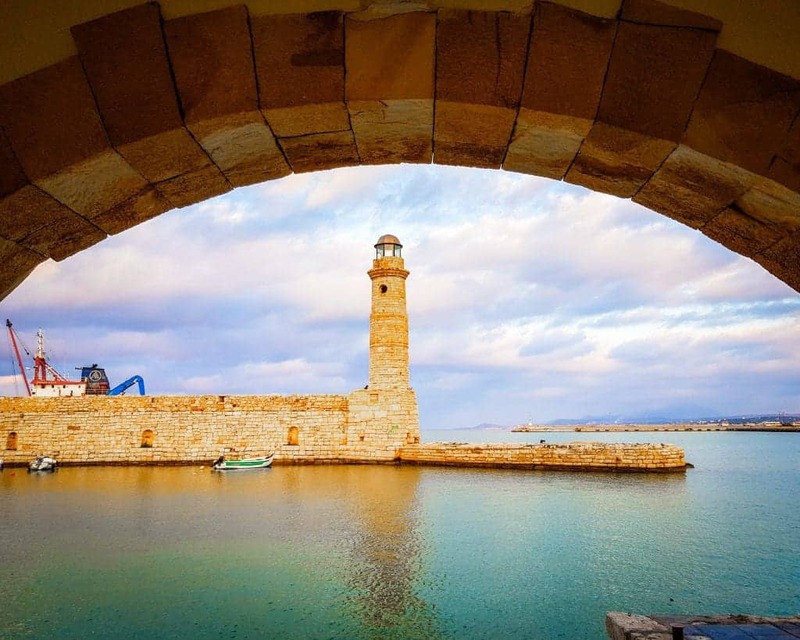 If you’re an avid photographer, we have listed our ten favorite Rethymnon photography spots. 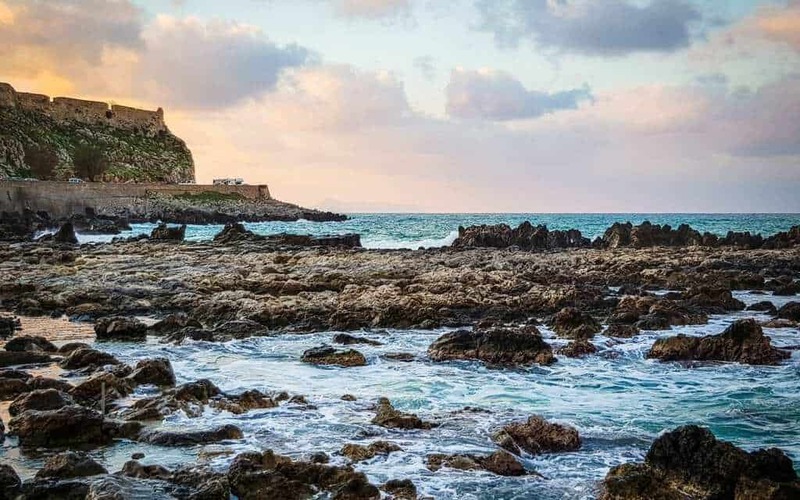 If you want to explore some of the island’s beaches, here our favorite beaches in Crete. For more about visiting the rest of the country, check out our Greece travel page. Make sure you always travel to Crete with a valid travel insurance policy. While the island is a very safe place to travel, you want to make sure you have your possessions covered if they’re stolen and your medical bills covered if you get sick or injured. 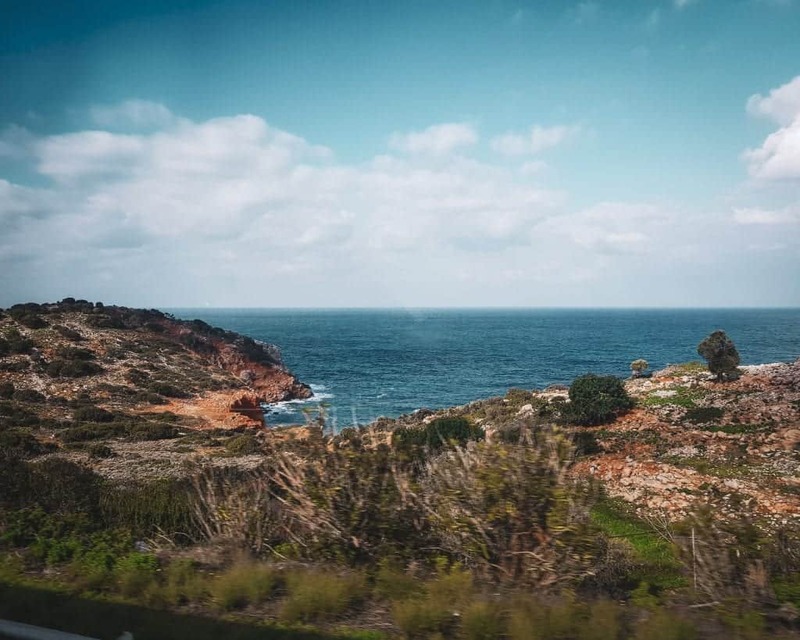 This is especially true if you plan on enjoying Crete’s nature, water activities, or nightlife! If your phone gets wet or your camera breaks, it’s so much better if you know you can get it replaced! Do you have any hostels or hotels in Rethymnon to recommend? What do you think is the answer to the question, where is the best place to stay in Rethymnon? Let us know in the comments!